The Abstat, developed by a team at UCLA, is a non-invasive acoustic gastrointestinal surveillance biosensor that monitors gut sounds. A disposable plastic listening device that attaches to the abdomen may help doctors definitively determine which post-operative patients should be fed and which should not, an invention that may improve outcomes, decrease healthcare costs and shorten hospital stays, according to a UCLA study. Some patients who undergo surgery develop a condition called post-operative ileus, a malfunction of the intestines. The condition causes patients to become ill if they eat too soon, which can lengthen an affected patient’s hospital stay by two to three days. 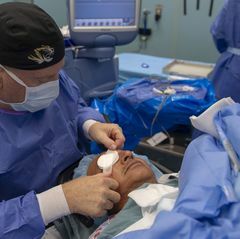 Until now, there was no way to monitor for post-operative ileus other than listening to the belly for short periods with a stethoscope, said study first author Dr. Brennan Spiegel, a professor of medicine at the David Geffen School of Medicine at UCLA and the UCLA Fielding School of Public Health. 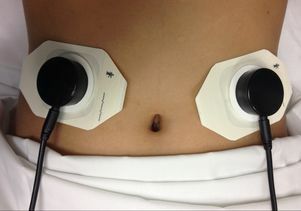 If proven successful, the device, a non-invasive acoustic gastrointestinal surveillance biosensor called AbStats, could also be used to help diagnose irritable bowel syndrome and inflammatory bowel disease as well as helping obese people learn by the sounds from their gut when they should or shouldn’t eat, which could help them lose weight. Spiegel and his team worked with researchers at the UCLA Wireless Health Institute at the Henry Samueli School of Engineering and Applied Science to develop the sensor, which resembles a small plastic cap and has a tiny microphone inside to monitor digestion. “We think what we’ve invented is a way to monitor a new vital sign, one to go along with heart rate, blood pressure and respiration. This new vital sign, intestinal rate, could prove to be important in diagnosing and treating patients,” Spiegel said. “The role of wearable sensors in healthcare has reached mainstream consciousness and has the capacity to transform how we monitor and deliver care. The study appears in the early online edition of the peer-reviewed Journal of Gastrointestinal Surgery. In this study, the biosensor was used to listen to sounds emanating from the intestines and was connected to a computer that measured the rate of acoustic events — movement of the intestines — as they occurred. The research team compared intestinal rates of healthy subjects using the device for 60 minutes after a standardized meal to rates recorded in two post-operative groups, patients who were tolerating food and those that had post-operative ileus. Using the biosensor, Spiegel and his team could distinguish patients with post-operative ileus from patients who did not suffer from the condition by the sounds made by their intestines. In the future, doctors may use the biosensor to determine which patients can be fed, making an evidence-based decision instead of just guessing based on less specific information, Spiegel said. Spiegel hopes to be able to determine if the biosensor can be used to identify patients at risk for post-operative ileus to help doctors make post-operative feeding decisions. When the bowels shut down, they become very quiet, moving only a few times per minute versus the digestion of a healthy person, who generates 10 or more intestinal movements per minute. The movements make a “clicking” noise, and it is that noise the biosensor picks up and sends to a computer for analysis. William J. Kaiser, a professor of electrical engineering and co-director of the UCLA Wireless Health Institute, said development of the biosensor system has been a primary focus of the institute. Gastrointestinal disorders are highly prevalent in both inpatient and outpatient settings. A recent study commissioned by the National Institutes of Health found that there are more than 70 million ambulatory care visits every year in the U.S. with a gastrointestinal disorder listed as the first diagnosis. That number swelled to more than 100 million visits when gastrointestinal disorders were mentioned anywhere in the diagnosis, the equivalent of nearly 36,000 outpatient visits per 100,000 Americans. Gastrointestinal disorders also have enormous direct and indirect societal costs, Spiegel said. The total direct cost of care for gastrointestinal disorders is estimated at $100 billion annually. Indirect costs increase that figure to more than $140 billion. 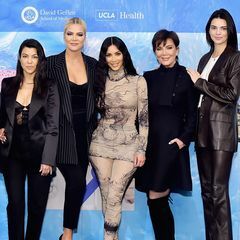 “With the aging of the American population and the rising incidence of obesity, it is certain that the economic impact of gastrointestinal disorders will get increasingly worse over the next decade and beyond,” Spiegel said. 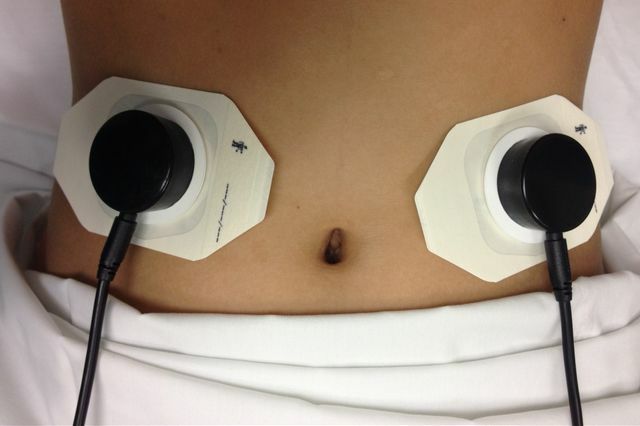 The Abstat is a non-invasive acoustic gastrointestinal surveillance biosensor that monitors gut sounds.